Filament is the building block of your ideas. Together with your 3D printer, they create the magic that brings your creations to life, layer by layer. That’s why it’s important to choose quality filaments that you can depend and rely on. And that’s exactly where BuMat™ comes in. Two product lines and a total of over 80 selections, for hobbyists to professionals, BuMat™ has your needs covered in every way possible. BuMat™ is the standard building material for 3D printers using fused filament fabrication (FFF) technology. 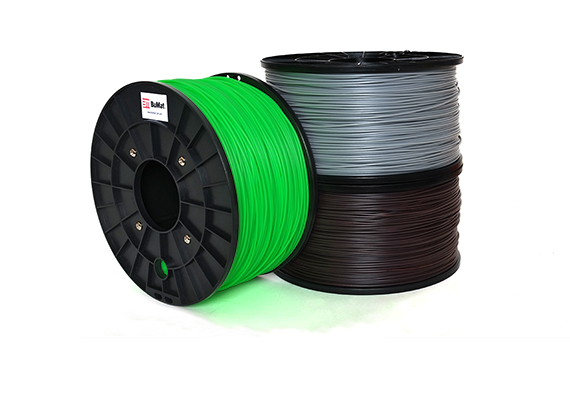 High quality filaments made of pure, non-recycled thermoplastics guarantee no air bubbling and a hassle-free 3D printing experience. Enjoy bringing more of your ideas and creations to life. And give the last wave of goodbye to extruder jams and clogs that take away valuable time. When we saw the standard in today’s filament, we asked ourselves what more could be done. Going back to the drawing board and challenging our chemists and manufacturing team, we were finally able to come up with the ideal filament quality that’s truly for professionals. 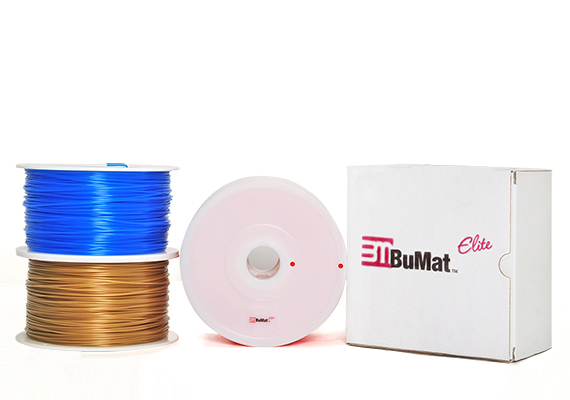 BuMat™ Elite is a superior grade filament made with only the finest thermoplastic pellets. Extend the shelf life of bumats with MoGuard specialty formula that provides an extra layer of protection against humidity and prevents atmospheric moisture from entering. Industry-leading tolerance levels and precise roundness throughout the bumats guarantee consistent extrusion volume. So the quality of your prints leaps beyond expectations, every time. Copyright © 2015 BuMat USA. All rights reserved.